Sepia-toned image of people gathered for a barn raising. The barn is framed, but not roofed or sided. 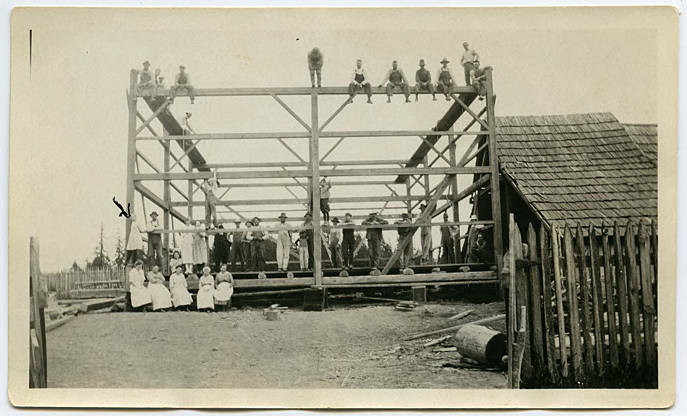 A number of men sit along the top of the front cross-beam, while the rest of the group is gathered along the bottom of the framing on the floor of the barn. Several children, mostly girls, stand with the men, and a group of women is seated on a board in front of the floor. Museum records identify the location as 'near Firdale Gr. School.' 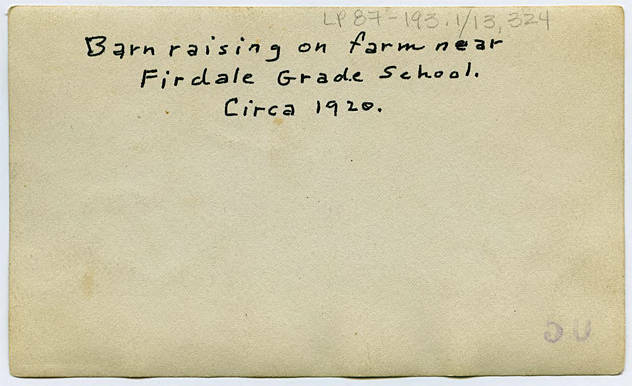 Firdale school was in the hills north of Cornelius, Oregon. [back] [felt pen] Barn raising on farm near Firdale Grade School. Circa 1920.